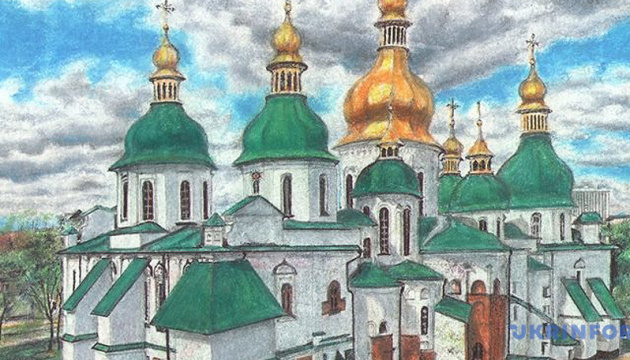 Ukrainian journalist Roman Sushchenko, illegally convicted in Russia, has sent a new drawing from a penal colony in the village of Utrobino, Russia's Kirov region - a landscape with St. Sophia Cathedral, Ukrinform reports. 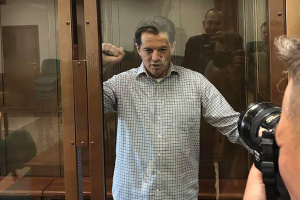 He wrote on the back of the picture: "Roman Sushchenko, January 2019. Kyiv. St. Sophia Cathedral. XI century. Paper, pencil, ballpoint pen, pastel, water. our days, the village Utrobino, Kirovo-Chepetsk, Vyatka." 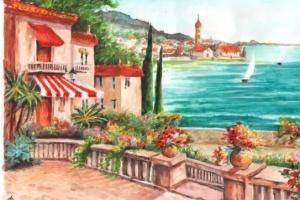 Previous pictures of the Ukrainian political prisoner from the prison in Utrobino were a winter landscape with the Kyiv-Pechersk Lavra monastery, a floral still life, two drawings made for his son, and Rouen Cathedral. As reported, the Cultural and Information Center of the Ukrainian Embassy in Paris (France) will host an exhibition of creative works titled "Art from Behind the Bars" by Ukrinform's correspondent in France Roman Sushchenko. Twenty enlarged photocopies of Sushchenko's drawings created in the Lefortovo Prison will be presented at the exhibition. The exhibition was held last year in Kyiv. Then the pictures were shown at the Brussels Press Club.